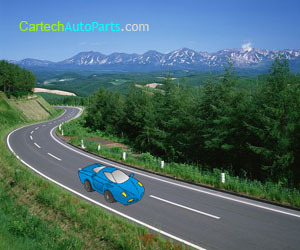 At CartechAutoparts.com, we provide technical guides and how to instructions on everything about automotive vehicles. Learn the basic mechanisms of various auto parts and car accessories, find the best parts solutions for your cars that feature cost saving and energy efficient capabilities, as well as safe and environmentally friendly vehicle characteristics. We hope our contribution will help your car maintenance. When cars are manufactured, they typically come with basic parts that are known as stock parts. Stock parts include the engine and the transmission, as well as other vehicle options. However, the choices of stock parts are often limited, leaving consumers who want to customize their cars little in the way of customization options. These parts are considered to be original equipment manufacturer parts, or parts that were made by the same company that produced the vehicle. If you want more customization options, you can turn to aftermarket auto parts. Aftermarket auto parts are simply parts that are installed in a vehicle and not manufactured by the manufacturer of the automobile itself. Using aftermarket auto parts makes customization easier and gives car enthusiasts more options for improving the performance and appearance of their cars. Some people use aftermarket engines to give their cars more power. Others use aftermarket auto parts to improve the appearance of their vehicles. Car enthusiasts may add tinting, special effects lighting, high quality stereo systems and speakers, car graphics, and rims to their automobiles. Using aftermarket auto parts has several benefits. One is that these parts are often high in quality because their manufacturers choose to specialize in the production of specific lines of parts. For example, some aftermarket auto parts manufacturers deal only with car graphics or rim production. Another benefit of using aftermarket auto parts is that it gives vehicle owners a lot of flexibility in how they can customize their cars. If one manufacturer does not produce a desired part, an owner can turn to an aftermarket auto parts manufacturer for a wider selection. Vehicle security can also be enhanced with aftermarket auto parts. Vehicle owners may purchase aftermarket car alarms and anti-theft devices to protect their cars from vandalism and theft. Aftermarket security systems can be very basic, or they can be advanced and include a number of features that make them more effective. While aftermarket auto parts can be beneficial, there are also several issues associated with using them. One issue is that using aftermarket auto parts can void the warranty on your car. When your car is under warranty, you usually must use original manufacturer parts and have them professionally installed. If you use aftermarket parts and install them yourself, you may void your warranty and be responsible for paying for any repairs. Legal issues also come up when dealing with aftermarket auto parts. Some areas restrict the amount of tinting you are allowed to have on your car windows. Other areas restrict the use of certain types of lights because they may be very bright, distracting other drivers and causing accidents. If you want to use aftermarket parts, check with your local and state regulations to ensure that you will not be ticketed for using them. Cost of installation can also be an issue when using aftermarket auto parts. While some parts can be installed easily, others require professional installation. Intricate stereo systems and other parts are usually best installed by a professional. This can save you a lot of time and frustration, and can even save you money.